While you'll love relaxing in I.D. 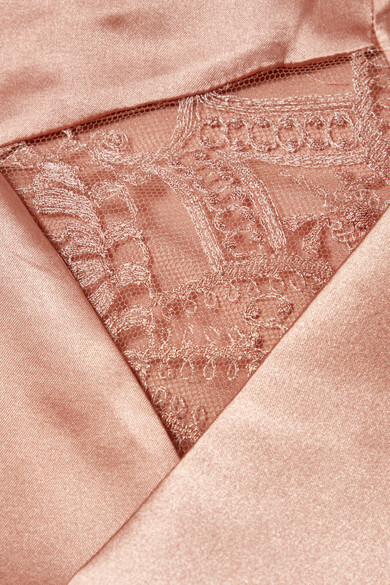 Sarrieri's pajama top at home, the luxurious silk-satin lends itself beautifully to eveningwear, too. Cut in a flattering wrap silhouette, this Chantilly lace-trimmed piece has slightly flared sleeves and a belt to define your waistline. Pair it with the coordinating pants, or layer yours over a camisole with jeans.